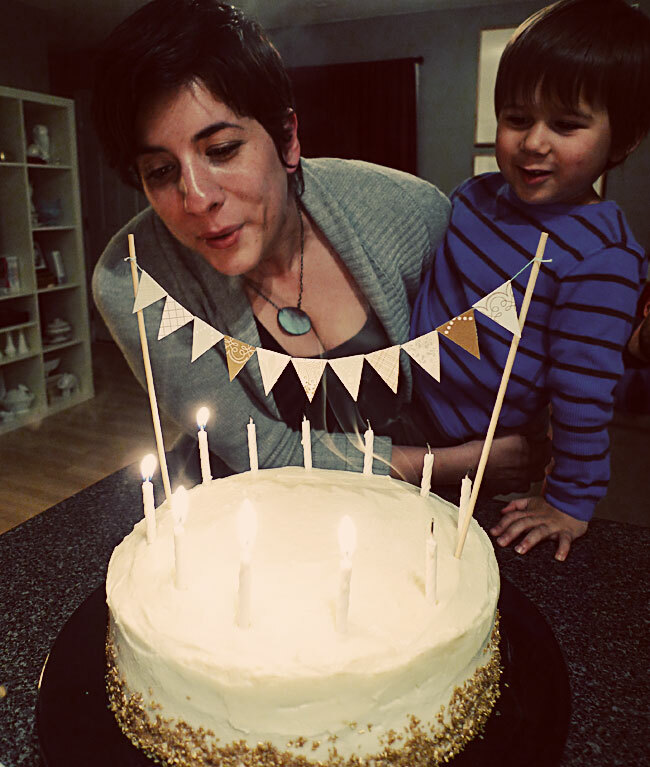 I made this cake for Annie's birthday, and it was a hit! 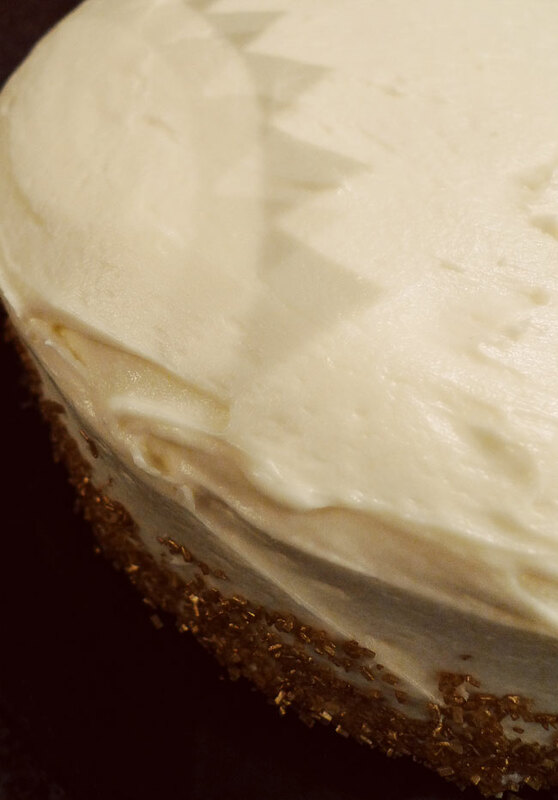 The pumpkin cake is simple and moist, the perfect backdrop for a showstopping cream cheese frosting. Preheat oven to 325 degrees. Grease and flour baking pans (I used 2 9-inch circles). Sift together flour, salt, baking powder, baking soda, cinnamon, nutmeg, and ginger. Set aside. Add butter to a mixing bowl and beat until fluffy. Add sugar and beat. Add in eggs one at a time, beating after each egg. Add sour cream and pumpkin and mix gently until just combined. Add flour mixture in increments, beating until just combined. Pour batter into pans, tap firmly on counter to release air bubbles. Bake for 35-40 minutes, or until set (adjust time as necessary based on the type of pans you are using). Remove from oven and allow to cool completely. With an electric mixer, beat the butter. Beat it long and hard, until it's very white and very fluffy. Add cream cheese, beat until completely incorporated. Beat in vanilla. Add in confectioners sugar 1/2 cup at a time, mixing on low speed. Continue adding until you reach the desired consistency. (If frosting becomes too thick, thin with a tiny bit of milk.) If you wish, you can add 1/2 teaspoon of cinnamon. Frost your cooled cake. 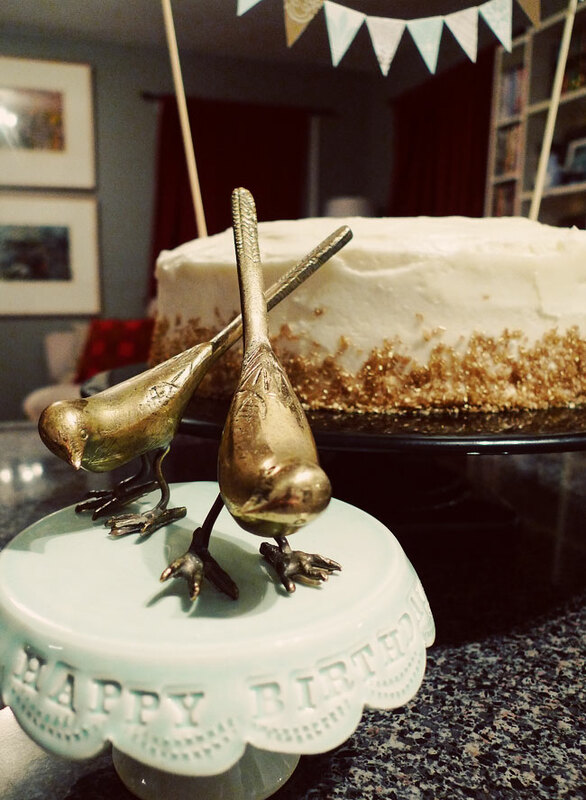 I chose to garnish mine with gold sanding sugar and a mini garland. Enjoy!